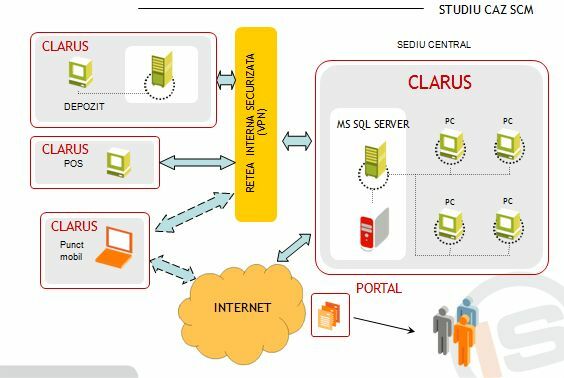 Clarus SCM follows the supply chain activity and enables real-time knowledge of inventory on each site separately and the entire company. The continous interoperability between jobsites and the company provides the correct information in order to optimize the supply, the management and the sales for the whole business. Our supply chain management solution (CLARUS SCM) enables you to control the three key levers: cost, availability and quality of the products. This enables you to create a customer requirements oriented system that can respond quickly to any change with high efficiency in terms of costs. It allows improved planning and operational flows. CLARUS SCM highlights and reports the correct results and any existing critical points in the supply and sales processes. It is a robust tool that allows decisions based on reali time information from across the distribution network. The services offered by INTEGRATOR SOFT cover a wide range of areas, ensuring the CLARUS solution implementation in optimal conditions.